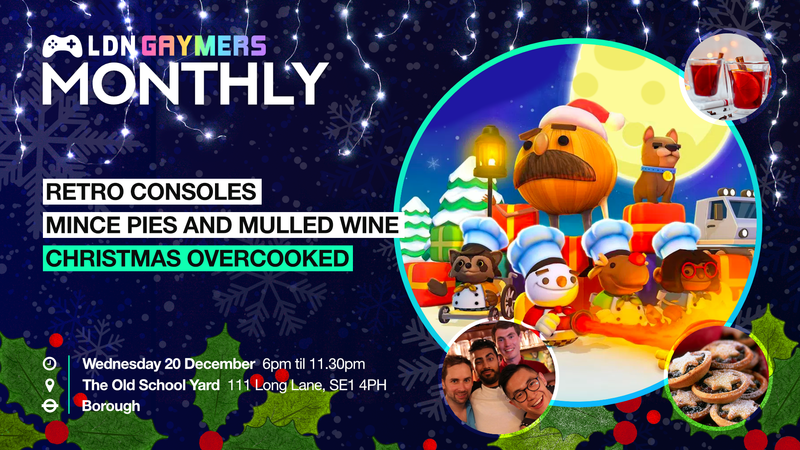 LDN Gaymers Monthly: The Christmas One - Gaymers iNC.
Join your fellow Gaymers for our last event of the year! Our Christmas special monthly meet-up with multiplayer games, retro consoles, drinks and prizes. Gamers of all abilities are welcome! Ease yourself in with our multiplayer party games, step it up with some retro gaming! Bring your friends and make new ones – the admin team will look after you if you’re new! Don’t forget to visit the lower level to try virtual reality, belt out some karaoke and throw some shapes with other gamers at the Just Dance station! We can’t wait to see you – come and play with us! On entry get a free glass of mulled wine and mince pie to warm you up! Bring any card, video or board games you want – we can set them up for you! Tickets coming soon Join facebook group This is a ticketed event. Please join the Facebook group and get a ticket before going to the venue.